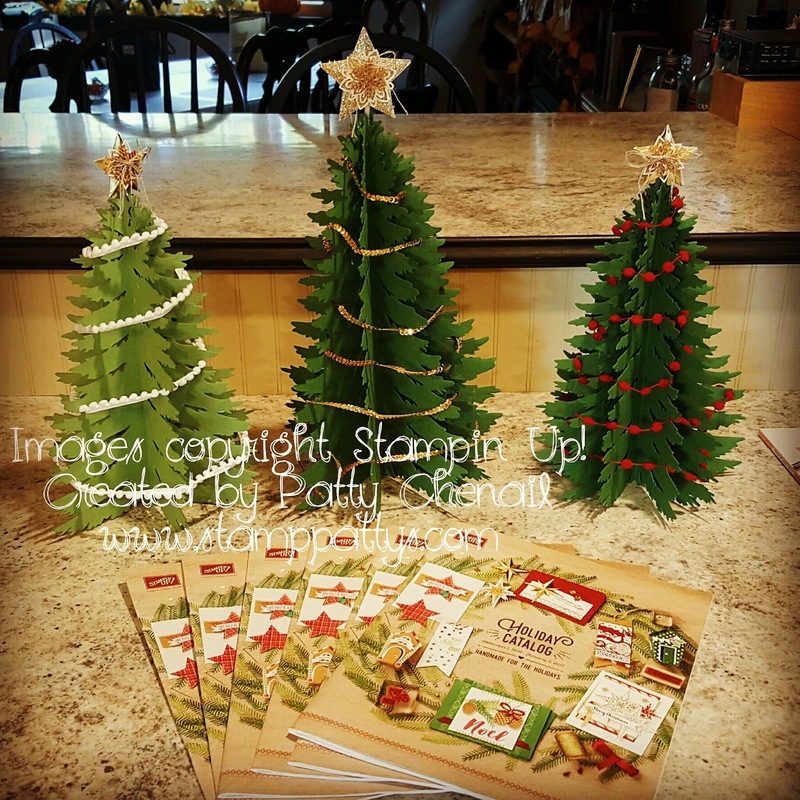 Welcome to our International Project Highlights using current Stampin’ Up!® Products. We have all created this gallery of projects for you to be inspired by! We would love it if you could visit every one of our blogs and see a close up of our projects. You can see the gallery below and this will be on every blog that you click on so you will never be lost. Welcome to the blog of Patty Chenail from the United States! If you are new to my site, welcome! If you are one of my regulars, I can’t thank you enough for continuing to visit me! I am sharing my October Scrapbook Club layout with you! This project showcases one of the tree pieces from our Forever Evergreen project kit found in the 2016 SU! Holiday Catalog! 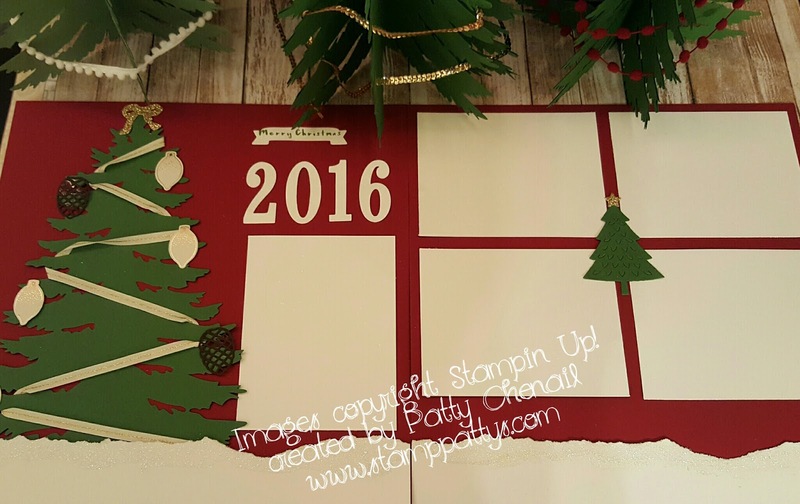 Instead of using the pieces to actually make the trees (as pictured below), I used them with my scrapbook club to create these fabulous pages! Feel free to visit my 24/7 online store to get your current Stampin’ Up! supplies! Click this link to start shopping!! Thanks for visiting my blog today, there are so many amazing ideas and inspiration you don’t want to miss. We know that you will love our gallery of projects made from Stampin’ Up!® Demonstrators around the world! What a great idea to stretch the project kit and use it for scrapboooking layout. I'll share the idea with my scrap booking group. Thank you for sharing your great project. Satomi from Australia. What a great alternative use of this kit. Fab layout. Okay, you are totally motivating me to make a few scrapbook layouts. Thanks for sharing!